In addition some wands have specific configuration options. This makes this mod ideal for modpacks where you want to specifically control which wands are available and how. Swapping wand: select a block and make sure you have enough of that block in your inventory. Then you can replace other blocks with that block. Has a single mode, 3x3 mode, 5x5 mode and a 7x7 mode (a bit like the Wand of Equal Trade). In future this wand will also have an undo functionality. Teleportation wand: right click forward to teleport (by default) 30 blocks. If you right click on a block then the player will be teleported on that block if there is room. If not the player will be teleported next to the block. Capturing wand: capture any living mob (hostile or not) with a left click. Release it again with a right click. Building Wand: extend your builds easily with this wand. Has several modes and also features undo for the last two building operations! No more accidental doubling of your floor. Illumination Wand: light up dark places easily with this wand. Moving Wand: pick up a block (normal blocks as well as tile entities such as chests, furnaces, spawners, aura nodes, ...) and place it down elsewhere. Configurable to make it more expensive to move some blocks and it is also possible to blacklist blocks from being moved. Displacement Wand: push or pull blocks or a rectangle of blocks. Works on tile entities as well. Protection Wand: protect blocks against explosions or harvesting attempts. Every wand can only unprotect blocks protected by the same wand. You can make backups of your wands. Master Protection Wand: this wand can unprotect blocks protected by any other wand. Acceleration Wand: this wand accelerates block ticks (like crops, saplings, ...) as well as tile entity ticks (spawners, furnaces, ...). It has three modes related to how fast it should accelerate. Many more wands are planned. This is just the beginning. Some wands in this mod have different modes. You can change the mode of a wand with the '=' key (default, you can change this in the key bindings). Modpack policy: no restrictions on modpack inclusion. Feel free to use this in any modpack you want. So do i have to change the generic wand config? By editing the config file. What exactly do you want to change? I want to make the wands use durability instead of Xp,because it's difficult to obtain enough Xp early game, and it will make a use for the extra wands I've been getting through loot bags. But by which software i have to open the config? I'm really sorry for the trouble,i'm just bad when it comes to mod configuration. Found it, thanks you very much McJty for the help over the past couple of days. When protecting blocks with the protection wand and having the block interaction set to true(prevents players from interacting with blocks) I'm not able to unprotect the blocks because of how it won't let you interact. 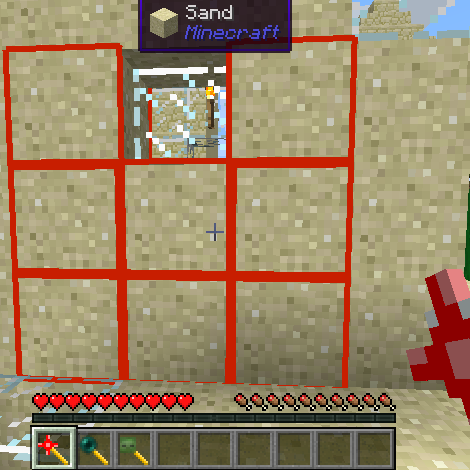 Maybe the wand should override this so I could unprotect the blocks still. Great mod though man keep up the great work! I press on the mods option button to search for it and when I find it, the config button is grayed out please help. Where in the config i have to change to meke the moving wand move bedrock? I have the latest build. You cannot actually enable that again. That's hardcoded in the mod. Why do you need this ability? how to make wands restricted on servers?